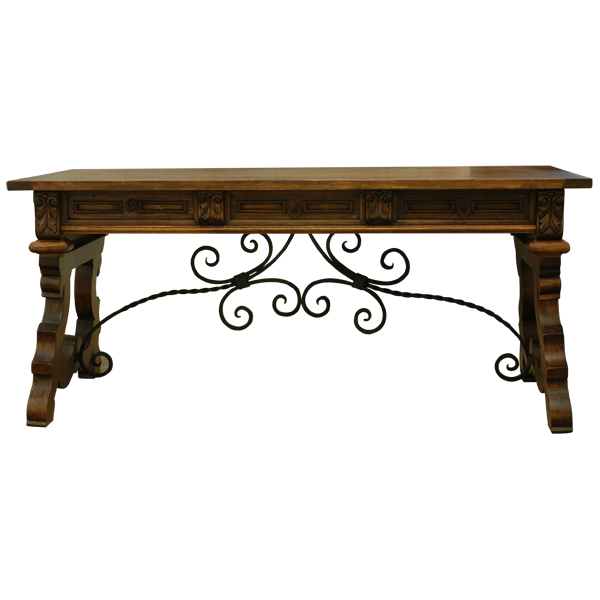 The combination of hand forged, wrought iron and marvelous scroll legs make this handcrafted, Spanish colonial style desk essential to your home or office décor. 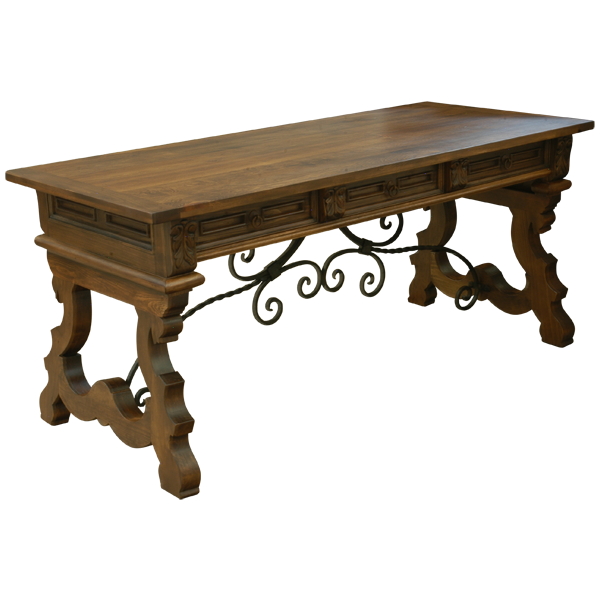 The desk has an open, wide, rectangular top with a classic, straight top rim. Finished with brown, antique stain, the desk is made with the best, sustainable, solid wood available. The desk has three, spacious, retangular drawers, and each drawer has a hand forged, iron handle in its center. On each lateral side of the desk are small, geometric cut designs. It is raised on beautiful, cabriole style, scroll legs and the legs are connected by curved crossbars. Centered in each crossbar are running through the lower center of the desk are elegant, curved, hand forged iron work. 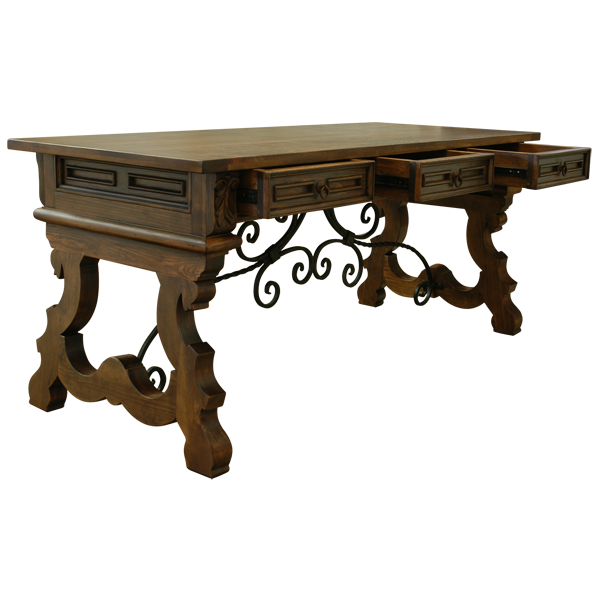 The desk has an open, wide, rectangular top with a classic, straight top rim. It is 100% customizable.